These tanzanites know how to pose a triple threat. With irresistible shine, a unique arrangement and elegance that's at the top of its class, this ring puts on a performance worth watching. 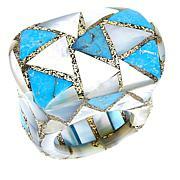 A creative and powerful muse, there's nothing this ring can't make look better. Remarkable beauty blew me away! 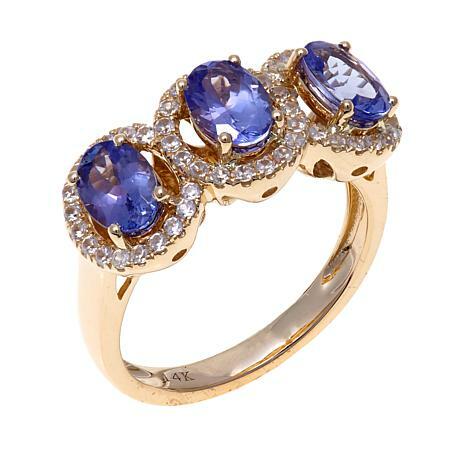 The Tanzanite 14k rose gold ring with ziron is stunning! The tanzanite is deep purple hue. The rosegold compliments the setting more. I'm very happy with the purchase. Thank you HSN. Pleasebring more Tanzanite! 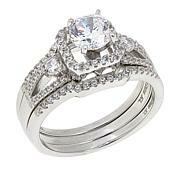 This ring is so beautiful. The tanzanite stones are a good deep color and they sparkle like crazy. I love the 14k rose gold design of the ring . 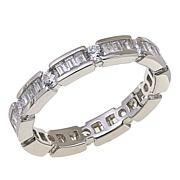 It is perfect for stacking with my diamond eternity bands. Gold weight is substantial. This ring is perfection !!!! Ordered the yellow gold version. The stones were touted as being top of the line and couture quality along with the best saturation. Nope. Really pale and no fire. Boxed up and sent back next business day. I want the ring shown on the shows and the color as stated. I really hate to give bad reviews and waste money on return postage due to misrepresentations. The gold itself was fine as were the white zircons. 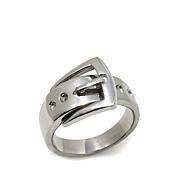 I ordered this ring in Yellow Gold and rec'd White Gold. Also, Zircon Gemstones are beautiful, but this ring commanded it to have Diamonds encircling the Tanzanite Gems instead of Zircon. I was so disappointed in the pale color of the Tanzania stones. I was so excited to receive this ring and I loved the setting but the color was far from what was described in tv. I returned this ring.